I bet your looking at today's creation and thinking wow, that's not a typical Michele card. Lol, well you're right. But hey, even this farm girl likes to go a little southern vintage charm every once in a while. So many elements for texture in this card including the Subtles Embossing Folder, the New Lace Embossing Folder and the Pearlized Doilie. As you can see I stamped the Tea Pot and the sentiment both from the Tea Together Stamp Set in Lovely Lipstick. 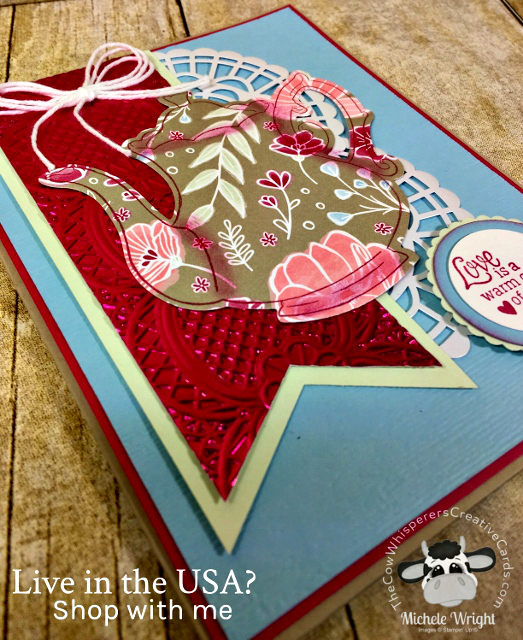 I chose to stamp the Tea Pot straight on to the All My Love Designer Series Paper. 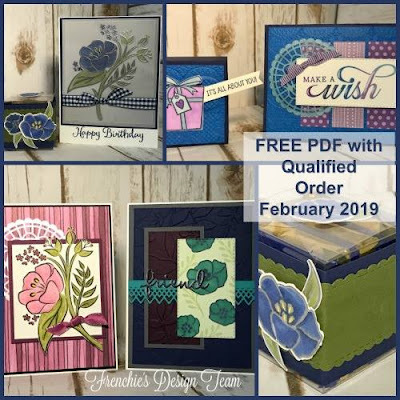 I then die cut it with the Tea Time Framelits that you can earn now for FREE with an order of $100 or more. 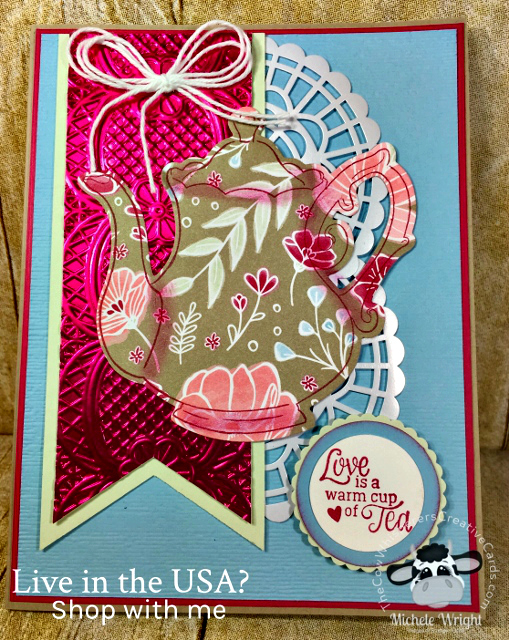 I used a q-tip and Lovely Lipstick ink to add some shadowing around the tea pot and in my keeping it real fashion, if I created this card again I would leave it off. But you decide when you create it, if you like it plain or with the added shadowing. First Layer - Lovely Lipstick - 5 3/8" x 4 1/8"
Third Layer - Soft Sea Foam - 2" x 5 1/4"
Fourth Layer - Lovely Lipstick Foil - 1 3/4" x 5"
Bow - Whisper White Bakers Twine - 18"
Can I order just one Paper Pumpkin or do I have to subscribe? I ordered the March kit but I didn't see anywhere to choose 1 month.